Showing 1 - 15 of 16 articles tagged "Mike "The Situation" Sorrentino"
“Everything’s documented, you know,” The Situation said on Jenny McCarthy's SiriusXM show. 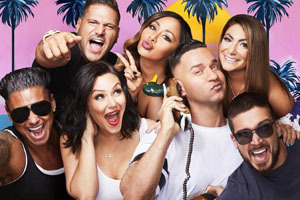 The Situation proclaims "The Situation has become The Inspiration" as the MTV hit reality show returns for a reunion series. The Situation and JWoww were spotted filming in Miami over the weekend, days after he pleaded guilty to tax fraud. Jersey Shore’s The Situation to plead guilty to tax evasion: Will he go to prison?